Now, if you could ask my closest friends what scent reminds them of me. I can guarantee the majority of them would say Chloe perfume. My love affair with this sweet and subtle floral scent started in my early teens. I have never been one for strong fragrances, and as a young teen my parents were very aware and keen for me to try slightly subtler scents. Again, this was on a trip home from a family holiday in the duty free store (you can see a pattern emerging eh?). I was adamant I would find a perfect scent for me, I was definitely on a mission. After spraying the whole collection and feeling slightly light headed and whoozy I came across this little bottle. Tied around the neck was a cute little dusty pink bow, of course it was already a hit with me, dusty pink and bows?! Yes! I always find it immensely difficult to describe fragrances as I feel that every nose is different and every one smells a slightly different scent. I sprayed it onto the testing strip and I immediately knew it was the one for me. It is a very subtle scent but also very young. It is floral but not an old type of toilet floral, if you get the jist. 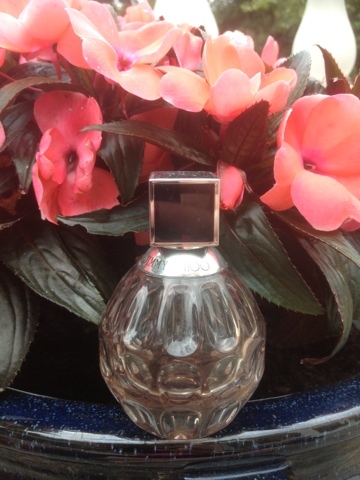 It is very much an everyday perfume reeling with delicacy and femininity. Also perfect for any of my younger readers, wanting to smell pretty but avoiding the (quote Mean Girls) baby prostitute smell. 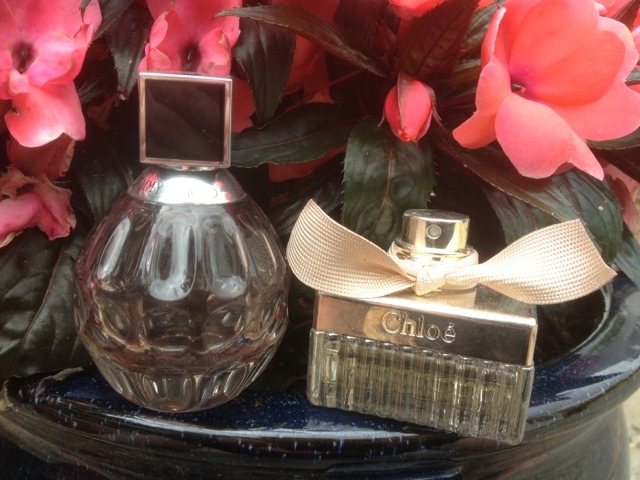 Seven years later I am still purchasing this perfume over and over again. I have once or twice strayed but have always returned to my trusty bottle of Chloe. 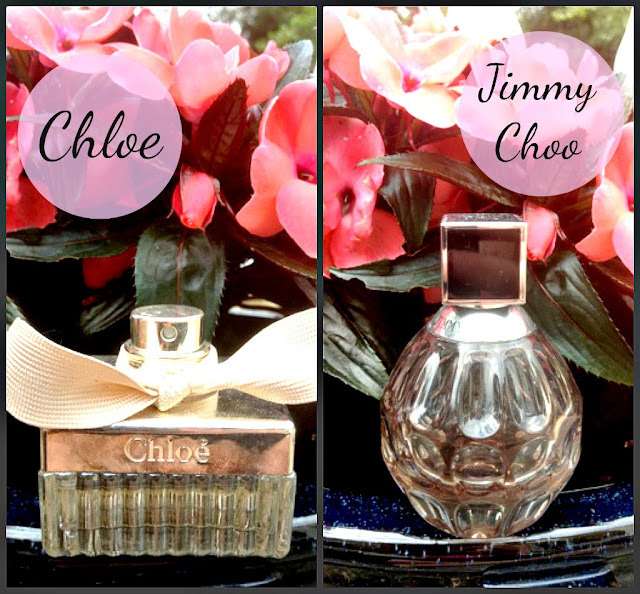 Jimmy Choo's original scent is one that is very new to my dressing table. A friend of mine would always wear this distinctive scent and I would find myself asking every time what is was. It happened to be Jimmy Choo. She is a long time wearer of this scent, and it is one of those smells that instinctively reminds me of her. At Christmas time my brother handed me a gift, round in shape, much like a bucket. As I opened it, it appeared to be a pink snake skinned box. Ever the curious mite I opened the box further. Inside was a delicate little bottle of Jimmy Choo perfume paired with a cute pink tube of body lotion. I knew straight away that from now, this was going to join my little Chloe perfume bottle on my dressing table without any hesitation. I am coming to the end of this bottle so I am looking to replace it, I did say I was a loyal customer! The scent is just divine and very distinctive. It is one of those scents that when you get one little sniff of it you want more, giving it a very sensual edge. I like to wear this in the evening, whether that is out for dinner or a night out with my girlfriends. However, it does work very well in the daytime for some. 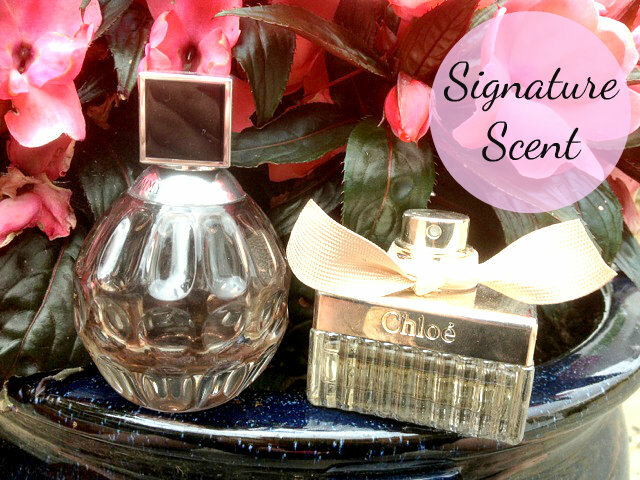 Perfumes are such a personal thing and really become part of your physical persona.